Description:In the late 1700s, an Association of Pottery Manufacturers would periodically adopt a standard list of prices to ensure that one business could not undercut its neighbour. This practice brought occasional difficulties. 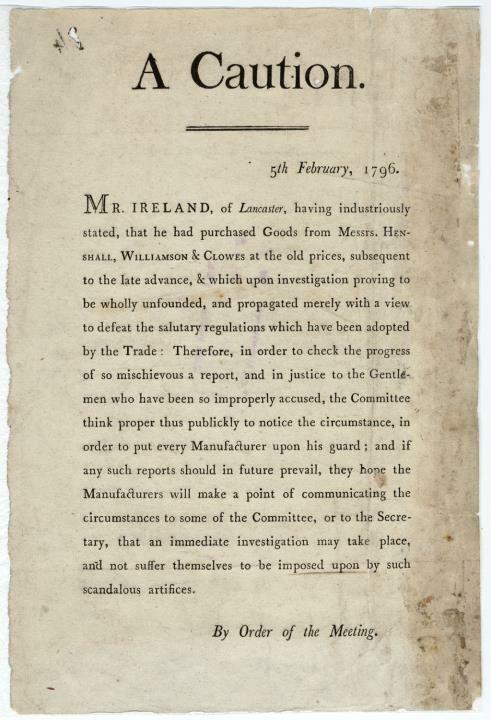 This notice of 1796 reports that a Mr. Ireland of Lancaster claimed to have bought goods from local firm Henshall, Williamson and Clowes - at old prices. 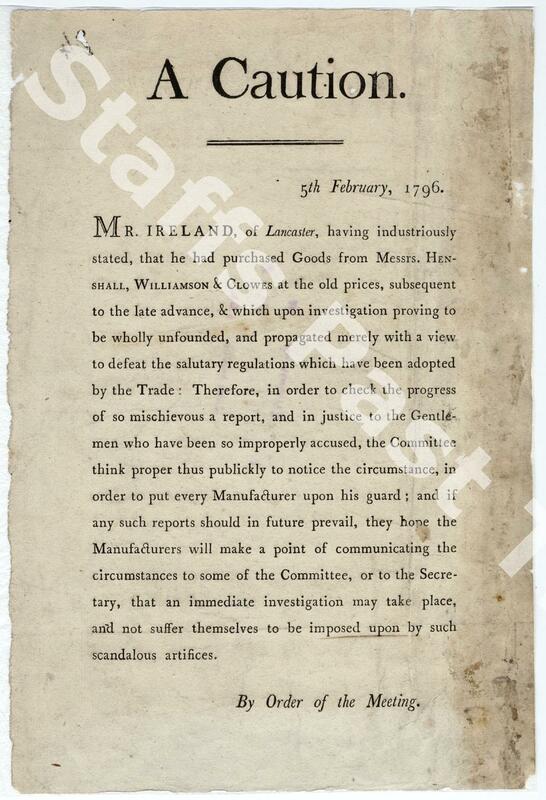 "... to put every manufacturer upon his guard." If the reports were true, every pottery manufacturer would have good reason to look nervously over his shoulder. However, an investigation revealed the allegations to be 'unfounded,' 'scandalous,' and 'mischievous' - probably to the great relief of the industry.